A new wine company called Replica is betting that most people care a lot more about taste than labels. Using chemical analysis, Replica makes knockoff wines that taste similar to more expensive brands—the drinking equivalent of buying CVS-brand ibuprofen instead of Advil. “We ensure at least 90 percent chemical similarity to the wine by which each was inspired, in notes such as acid, butter, caramel, citrus, earthy, floral, fruity, herbal, nutty, oaky, smoky, spicy, sweet and tannic,” the president of the lab that crafts the copycats for Replica explains in a press release. Replica aims to offer wines for 25 to 50 percent less than the wines they’re knocking off. We tried Replica’s Pickpocket, a red blend that retails for around $25, along with its inspiration, a bottle of The Prisoner Wine Company’s 2014 red blend ($45 on wine.com). Six of mental_floss’ finest connoisseurs tasted three unmarked glasses (OK, plastic cups), two filled with Replica wine, and one filled with The Prisoner, guessing which one was the more expensive wine. Five of six testers thought one of the glasses of Replica wine was from the more expensive bottle. But that wasn’t exactly a good thing. No one particularly liked either wine—even the $45 red blend. One tester described the Replica blend as tasting “almost corked,” while another described it as appropriate for a happy hour special. There were similarities in the flavors of both wines, but the Replica wine was a bit sweeter and tasted rougher compared to its inspiration. “Full in a bad way,” as one staffer referred to it. While Replica’s Pickpocket wasn’t undrinkable, neither did it taste like a $25 bottle, much less a $45 one, although we should note that no one at mental_floss is a sommelier. If you put it on the table during a dinner party, you wouldn’t be fooling any of your guests into thinking you’d splurged on a nice bottle, as the company suggests. 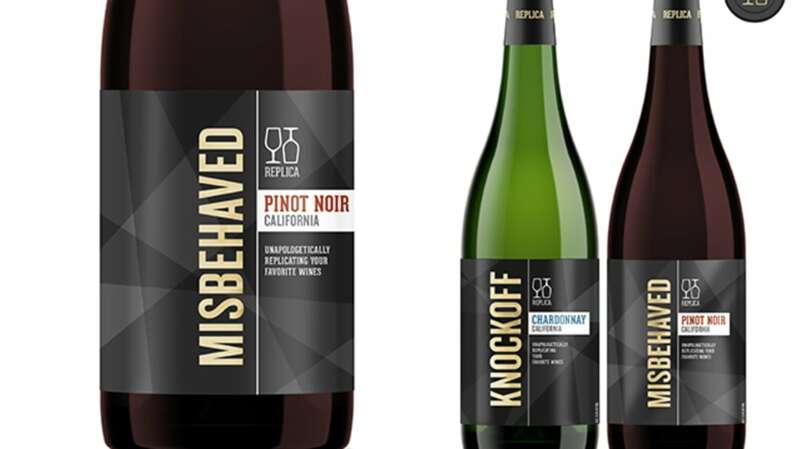 We can only speak to one varietal of the company’s wines, and perhaps the issue here was more about people disliking the wine that served as the inspiration for the budget-priced imposter. The company’s Knockoff chardonnay retails for less than $11, and its Just Right cabernet sauvignon retails for less than $13—both price points at which a rough taste might not be so disappointing.